Aldi's well known for it's special buys that come around each Thursday along with being that place where you go in for the norm loaf of bread, a bag of spuds and a tin of beans but leave with things like a 4 man tent, a trumpet and some ski boots totally forgetting everything you actually went in for. 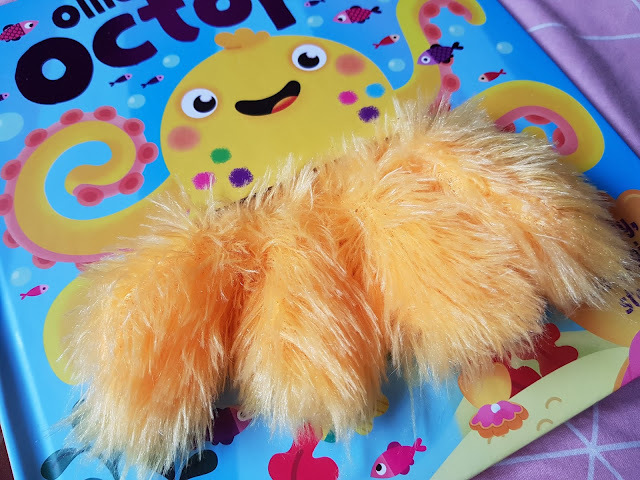 One special buy that's always bound to get me getting a little jog on after the morning school run is the Baby Event along side the Home or general kids special buys, Something I've always found very reasonably priced with a wide variety available is the children's books. 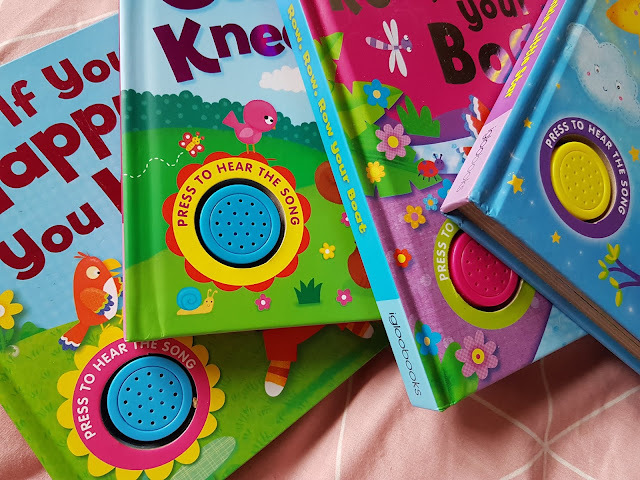 A lot of Lottie's book collection is made up with books purchased in Aldi and none of them have cost me more than £2.99 her firm favourites are the musical ones. which I've picked up for just £1.79 each and spotted sold elsewhere for £3+! We've got the usual nursery rhyme versions and I even managed to get my hands on some Christmas carol ones when Christmas was on the horizon last year. 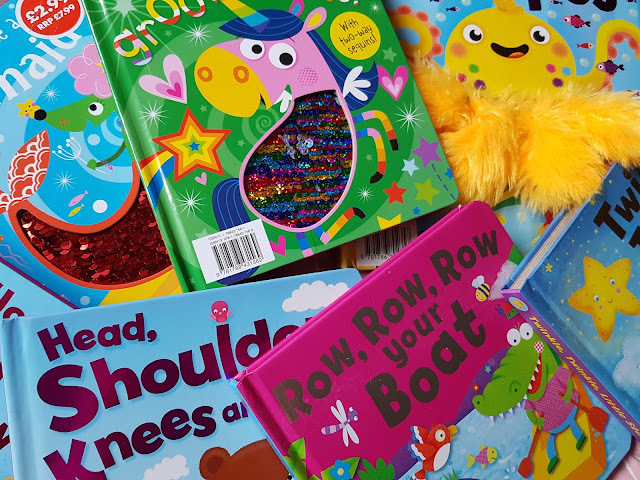 How cool are the reversible sequin books? each page has a different shape and coloured sequins which change colour when brushed up or down, these provide endless fun while being good for sensory, the only problem with these ones is it took some rooting to find ones that hadn't come away exposing the sequins at the edges which ended up happening anyway which obviously isn't great if they get to a point where the sequins become detachable but they do come with a recommended age of -- but will of course be a supervised read with Lottie only being 1 anyway. Not only can you find fun, musical, puzzle, hand puppet and bedtimes stories in Aldi they also have a range if educational books, I recently purchased my daughters a times table pull the tab book where you pull down a slider that reveals the answers for times tables from two to eleven for £1.99. They also had phonic and addition versions of these books for Key stage one children. Two of Daisie's favourite books that we read every night since I bought them were also purchased from Aldi for just 99p each. With prices like this Aldi make it easy to build a book collection and help children fall in love with books without breaking the bank trying to do so.